Location: Grenier-Montgon, in the Haute-Loire departement of France (Aquitaine Region). Notes: The castle of Grenier-Montgon is located about 2 km to the east of the village towards the hamlet of Grenier-Montgon.It was inhabited until the beginning of the nineteenth century; Unfortunately, the plunder led him to his ruin. 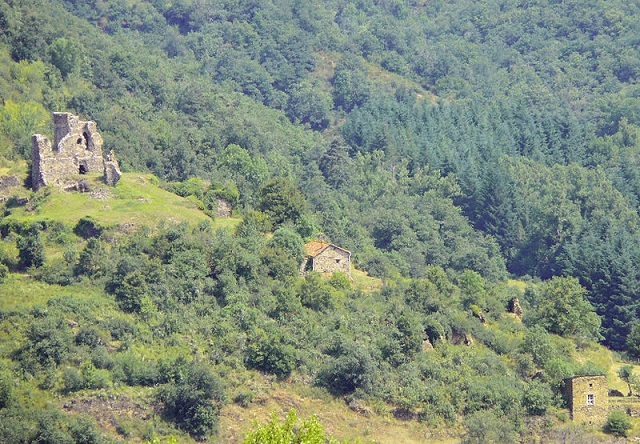 Built on a slope, it dominates the hamlet of Montgon.